Emissions testing has been subject to much scrutiny over the past months. Given the complexity of the topic, it does not come as a surprise that it has caused confusion. Separate issues have been mixed up, and factual errors regarding the testing process have been reported. Misconception 1: The fact lab tests are different from real-world results is proof that the whole industry is cheating. Reality: It is a well-known fact that lab tests are different from real-world results. The recent developments regarding the use of ‘defeat devices’ by one car manufacturer should not be confused with the separate issue of the difference between the results of lab tests and real-world emissions. It has always been fully understood that driving under a laboratory test cycle (NEDC1 currently; WLTP2 in the future) may be different to real-life driving conditions. The actual real-world fuel efficiency and exhaust emissions experienced by drivers varies widely as they depend on many external factors such as traffic conditions, terrain, driving behavior, road type, vehicle load, vehicle condition and weather. In real-world conditions, even if two different drivers drive exactly the same vehicle under exactly the same conditions, each is likely to have different exhaust emissions and fuel consumption. As there is no ‘one’ real-world fuel consumption value, only figures measured in lab tests using standardized cycles allow customers to make comparisons between vehicles in terms of their CO? emissions and fuel consumption. Pollutant emissions and CO? 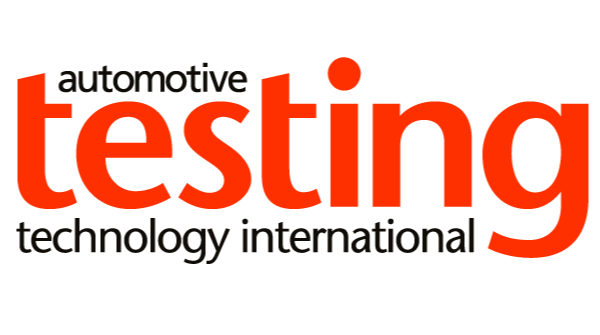 values resulting from testing conducted today are in line with the existing regulatory requirements and have been verified by the national vehicle type-approval authorities in the member states. However, the industry recognizes and has stated consistently that the current NEDC test cycle is outdated. As it was designed in the 1980s and deployed from the 1990s, the NEDC does not account for many of the new technologies in today’s cars that have a strong effect on fuel consumption, nor for the significant progress of vehicles and exhaust emission control systems. The auto industry is therefore actively contributing to the development of the new global test cycle (WLTP). This new test cycle will include higher speeds, more dynamic and representative accelerations and decelerations, and stricter vehicle set-up and measurement conditions than the NEDC. The new Real Driving Emissions (RDE) test procedure will also be introduced to bridge the gap between the current regulated laboratory testing of pollutant emissions and the very different conditions experienced on the road. This new test is an additional step above and beyond NEDC/WLTP tests, serving to confirm the results of the lab tests and ensure that cars will deliver low emissions on the road. Misconception 2: In practice, the industry has made no progress in real-world emissions. Reality: There has been significant progress in real-world emissions. According to tests of on-road emissions conducted by the International Council on Clean Transportation (ICCT), Euro 6 vehicles emit at least 40% less nitrogen oxide (NOx) than Euro three vehicles. This is the result of the development and introduction of exhaust after-treatment systems such as lean-NOx catalysts or selective catalytic reduction (SCR) systems, which work in combination with a urea-based additive. It is important to remember that these decreases in pollutant emissions have been achieved in combination with significant CO? savings, despite the fact that both initiatives require conflicting measures. In parallel, the automotive industry has brought particle emissions down to near zero levels, thanks to improvements to engine combustion and fuel management, as well as technologies such as high efficiency particle filters that are used on all new diesel cars, light commercial vehicles and trucks. Misconception 3: It is easy to measure emissions on the road. Reality: Measuring emissions on the road is highly complex. Under RDE, a vehicle will be driven on public roads and exposed to a wide range of different ‘boundary conditions’. Boundary conditions are a mixture of low and high altitudes, year-round temperatures, additional vehicle payload, up-and down-hill driving, and a required mix of urban (relatively low speed), rural (medium speed) and motorway (higher speed) driving. While there is no definition of normal driving, EU driving statistics clearly show that some 93% of all car driving would fall into what could be called a ‘moderate’ set of driving conditions and styles. Under moderate driving, low NOx emissions can be achieved. However, RDE addresses not just moderate driving, but also more aggressive or ‘extended’ driving, even though EU driving statistics show that these more extreme forms of driving account for only a very small percentage of all EU driving events. Controlling emissions over extended driving  for example, high altitude, low/sub-zero or high ambient temperature, higher road gradients, higher vehicle loading, highly-aggressive accelerations  is the biggest challenge. This is where the greatest effort and investment for the vehicles must take place. RDE will mean that nearly all diesel vehicles have to be fitted with selective catalytic reduction (SRC) systems. Smaller diesels, in particular, may not be able to accommodate the fitment of SCR or the additional costs. To measure exhaust emissions as the vehicle is being driven on the roads, vehicles will be fitted with portable emission measuring systems (PEMS). The PEMS used for emissions regulatory purposes are complex pieces of equipment integrating advanced gas analyzers, exhaust mass flow meters, weather stations, GPS and connection to the vehicle networks. There is no standard PEMS equipment. Misconception 4: The industry is trying to delay RDE. Reality: The European Automobile Manufacturers Association (ACEA) fully understands the need for Step 1 of RDE to commence from September 2017 for new vehicle types, and has always been committed to this. Delivering vehicles which meet RDE Step 1 on the market from September 2017 requires a design sign-off no later than the second half of 2016 in order to complete the type-approval testing. Shorter-term improvements to the performance of already-available diesel NOx control systems can be achieved by this date. However, the second step should allow the necessary lead time to make more extensive changes to the vehicle platform and emission control hardware, including far-reaching measures such as the re-design of engines, new exhaust after-treatment designs, adapted vehicle platforms to accommodate new equipment, and modified vehicle assembly lines. Misconception 5: The industry got its way at the member states October vote on RDE. Reality: What member states voted on during the October meeting with the European Commission’s regulatory committee (TCMV) was a tough compromise text on RDE. 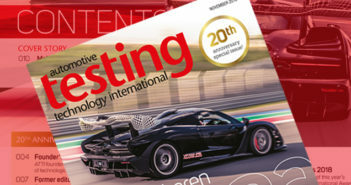 This comprises testing standards that will be extremely difficult for auto makers to reach in a short period of time. As a direct consequence, a substantial number of diesel models will have to be phased out earlier than planned. As well as having serious economic implications, this will make it more challenging for manufacturers to meet the 2021 targets for CO2 emission reductions, since diesel engines emit 15-20% less CO? than comparable petrol engines. Misconception 6: A conformity factor is just a way to water down the limits. Reality: A conformity factor is defined as a ‘not to exceed limit’ that takes into account a margin for error, which is present simply because PEMS equipment has various inaccuracies. For example, PEMS are not as accurate as a full laboratory system so they will not measure to the same level of repeatable accuracy as a lab test. In practice, manufacturers must set their design objectives well below the legal limit to be certain of complying, and to account for the risk that PEMS on any particular day may have an even higher error margin. This means that emissions that are the product of the ‘normal driving’ conditions that the average driver will encounter on a day-to-day basis, will be far below this ‘not to exceed limit’, because in real life the worst case scenario of driving is very rare. In October, member states voted on a conformity factor of 1, plus a margin for error of 0.5, applicable from 2020. Reality: Comparing the EU and US standards is like comparing apples with pears  both are based on completely different test cycles. The test cycles used in the USA to measure pollutant emissions are all laboratory tests. The limit values achieved by vehicles in the USA are therefore measured under laboratory conditions and not on the road. Manufacturers must carry out a number of tests representing normal and extended driving conditions  with higher limits permitted for extended driving. US legislators recognize that emissions over a laboratory test cycle will be different to emissions on the road under different driving conditions. The US has no plans to introduce RDE at this time, Europe will be the only region in the world to introduce such real-world testing for cars. In the EU, every single vehicle must comply with the limit set, irrespective of its size, type or technology. The US system, on the other hand, is based on manufacturers meeting fleet average emission targets  in other words, some vehicles can emit more, some less, as long as on average the whole fleet is on target. The US system also enables manufacturers the flexibility to phase-in new vehicles meeting a permutation of the latest emission standards. This greatly helps manufacturers plan vehicle changes according to defined product plans and with sufficient lead-time to make the changes.